On the Ground with Kevin Carroll — Ukulele in the Classroom / Ukulele Yes! As a proud member of the JHUI Level 3 class of ’15, I still remember the moment when I was just about finished with the program. One of the final steps of completing the program involves making your own differentiated Big Band Arrangement. It was a big challenge and is a skill that I have continued pushing myself to develop. Though it makes my head spin sometimes and it has also been invaluable to my understanding of both ukulele and music. Here are a few of the positives that have arisen for me. I found myself in a situation in which my students needed a place to go after UITC Book 3. 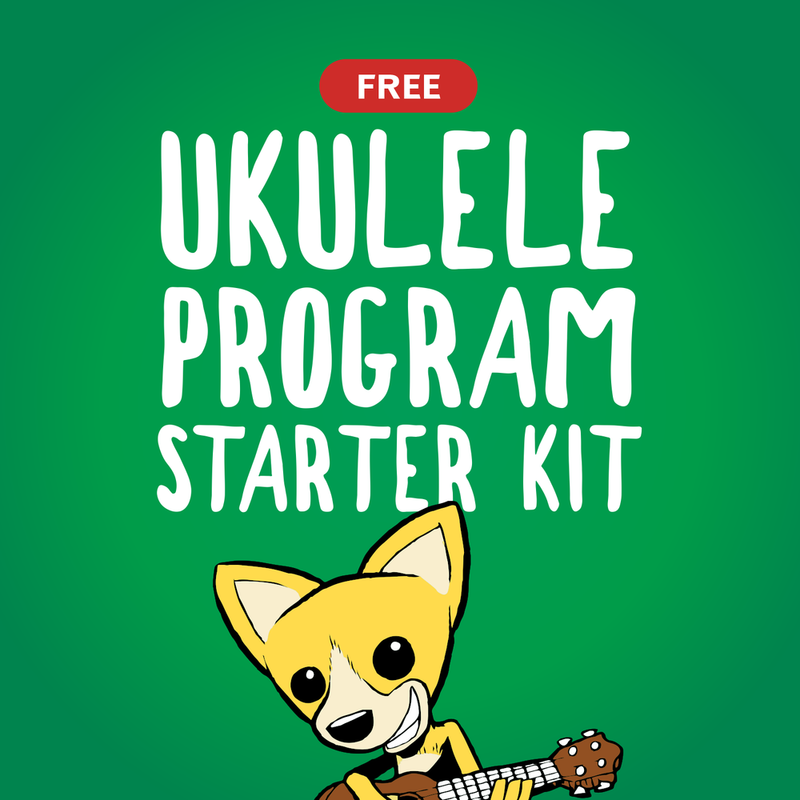 I created a Ukestra, or ukulele orchestra, to provide a landing spot for those who wanted to continue their growth, learning and social bonds that UITC fostered. For us, the Ukestra equates to 3-4 different ukulele parts along with a U-bass part. This has worked like a charm! Any independent teacher knows that retention is key to building and maintaining a successful business. After much practice, I have learned to think like each member of the ensemble. I often imagine particular Ukestra members playing each part. Because I am arranging these parts, I can gently increase the degree of difficulty. This leads to every JHUI teacher’s favorite term: stealth teaching! The idea of teaching while not actually teaching is quite appealing, effective and efficient. Slowly, but surely, the Ukestra members have grown proficient with 16th notes, syncopations, multiple keys, time signature changes and more. They simply play the notes on their page and voila! I can throw each section a part or two that is well within their grasp and then give them a part that will challenge them. Part of class time is used to allow students to chatter back and forth about fingerings, note values, flats and sharps, etc. This is a high-level stealth trick where the students get to be teachers. By utilizing the corporate knowledge in the room, trust and confidence emerge.